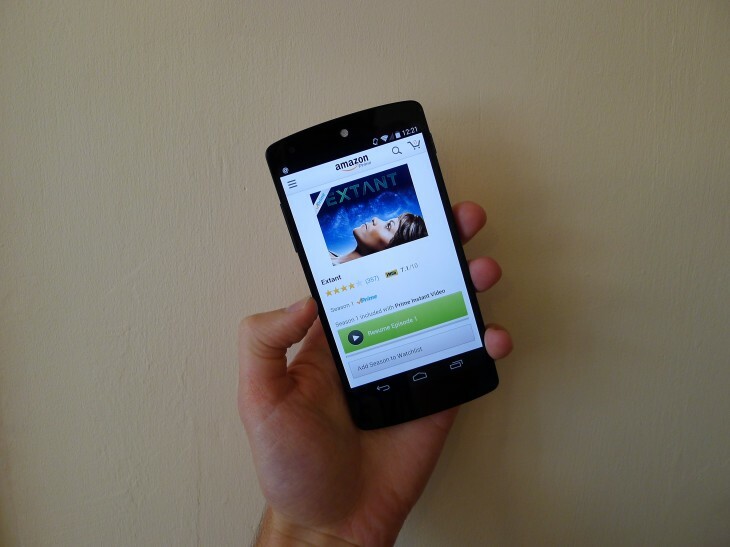 Update: Just like that, Amazon’s regular Android app has been updated in the UK and Germany too. Forget the workaround below regarding the Amazon app in the Amazon Appstore; you can just grab the regular version from Google Play. Original: Amazon’s movie and TV streaming services, Amazon Instant Video and Prime Instant Video, are finally supported on Android. As Android Police notes, the existing Amazon app in the Google Play store was updated today for US users, allowing them to browse and buy digital content. While this includes purchases and rentals, handled under Amazon Instant Video, of greater interest is the support for Prime Instant Video streaming. 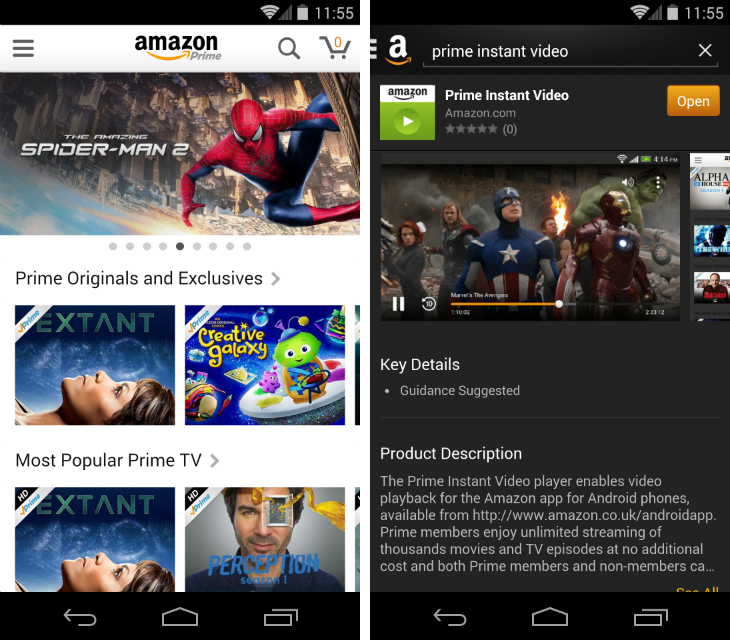 To access all of this content though, you’ll need the new Prime Instant Video player, which is delivered exclusively through the Amazon Appstore. Once subscribers have both the player and Amazon app installed, they can stream video on-demand using either payment model. The revamped Amazon app in the Google Play store appears, for now, to only affect users in the US. Today’s changelog emphasises this on multiple points and at the time of writing, Amazon hasn’t updated its Android app in other regions. Yet, here in the UK I downloaded the Amazon app from the Amazon Appstore, in addition to the Prime Instant Video player. Under the ‘Amazon Instant Video’ sub-header, located in the navigation menu, I was then able to stream movies and TV shows using an active Prime account. So there you go. 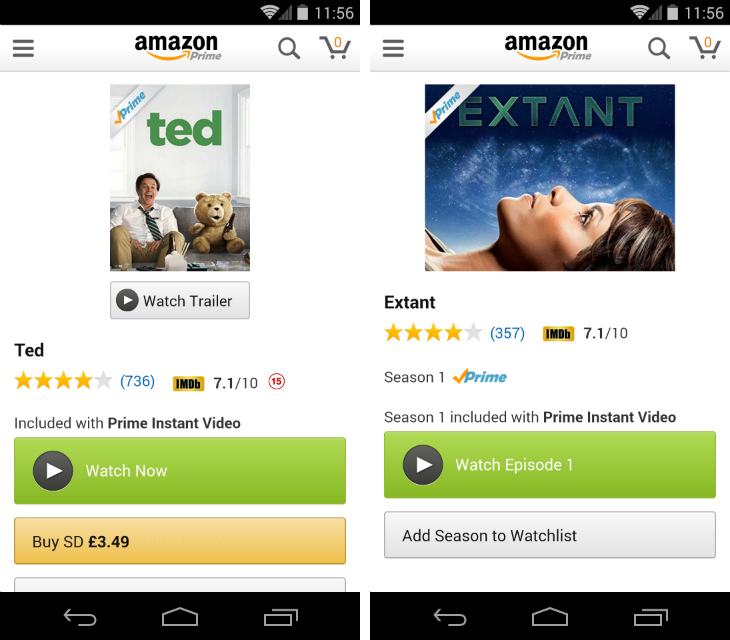 Amazon Instant Video and Prime Instant Video are now available on Android devices, both inside and outside the US. Provided you’re happy to jump through some elaborate and overly complicated hoops.